May 3, 2011 — Getting back on the field quicker and healthier is what sports injury rehabilitation is all about. 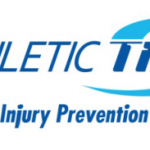 Leading sports athletic trainers credit new benefits made possible with laser therapy equipment by Multi Radiance Medical with getting players back in action sooner. Multi Radiance Medical’s MR4 laser uses Low Level Laser Therapy (LLLT) to help treat inflammation, provide deep tissue therapy, and accelerate pain relief to help athletes minimize down time. It is the first laser therapy equipment to combine the entire therapeutic light spectrum into a single technology. Used by athletic trainers, physicians, and physical therapists working with professional, Olympic, college and high school athletes, the MR4 uses 25,000-50,000 mW of super pulsed laser power to accelerate drug-free pain relief. With its LaserStim and LaserShower emitters, the device helps identify tissue inflammation and treat large muscle groups quickly. Multi Radiance Medical’s laser therapy equipment is embraced by professional sports teams for its ability to improve recovery times and help maintain healthy joints and muscle. Chris Kingsley, head athletic trainer of the Los Angeles Kings, uses the MR4 laser as part of the team’s daily treatment. “The MR4 provides unparalleled pain relief for acute and chronic conditions, and helps restore mobility and range of motion for faster post-injury recovery,” said Kingsley. 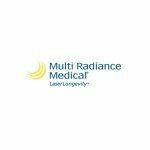 Multi Radiance Medical also provides portable laser therapy equipment for treating injuries during play. The MR4 ACTIV laser delivers 15,000 mW of super pulsed laser power and lasts up to 18 hours on a single charge. The unit is used by more than half of the National Hockey League’s teams.